Before we start talking of the method of rings arrangement on the harness system applied by SWS we have to explain why the rings are so essential. Apart from structural advantages that are described here, the rings of the harness also are to address the issues of comfort. At the designing stage of the harness, the initial model is adjusted to a body that stands straight up. The issue is that this position is rather rare. We do D-arches, bend back, we raise hips and do many other moves. This slightly modifies the size of our body, but the harness system that has no any compensatory mechanism becomes too tight or too loose. What is the idea with using the hip ring? 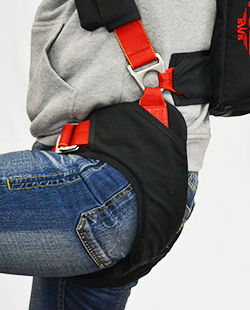 It separates the rigid part of harness (top part of the harness and the container) from very flexible bottom part with leg straps to provide comfort and freedom of motion. Thanks to the rings the container is snuggly connected to the skydiver's back without wobbling, the leg straps are tightened around thighs and hips and do not squeeze down the main lift web and shoulders. The joint - the hip ring - connects these two parts. Due to this the harness system can move with you and not against you. 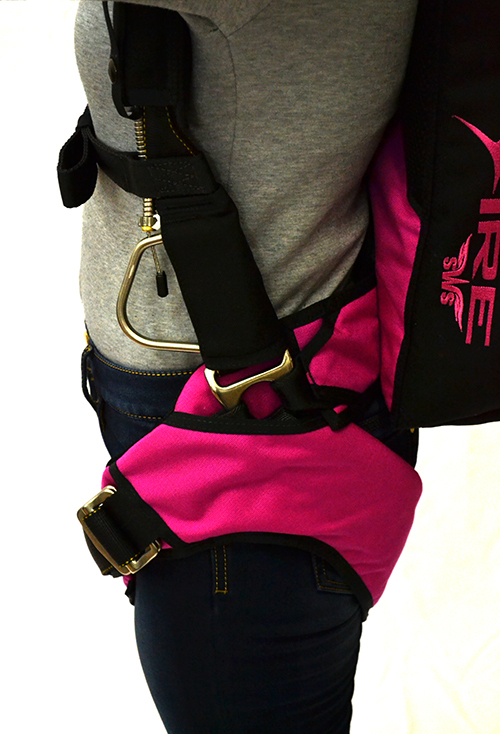 If the height of parachutist is less than 160cm, we make "separated" leg straps. 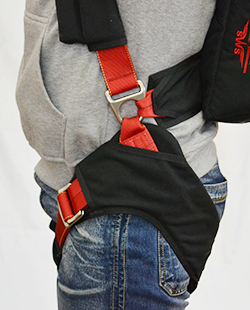 This allows to provide density fitting of harness system for such height. Also "separated" leg straps is used in student and military harnesses.